Tzohar Rabbinical Organization certifies four species as Kosher for the first time, ahead of new Kashrut label launch. For the first time, the Tzohar Rabbinical Organization is providing Kashrut certification for the four species used by Jews on Sukkot, challenging Israel's Rabbinate by presenting a rival certification to its Kashrut monopoly. The "Four Species" are the etrog (citrus), hadas (myrtle), aravah (willow) and lulav (palm frond) that are mandated by the Torah to be used in special prayers that are part of the synagogue services on each of the seven days of the holiday of Sukkot, except for the Sabbath. 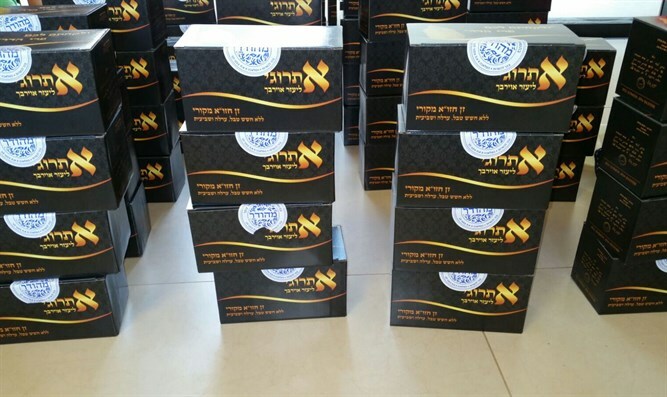 Tzohar has already distributed 500 Four Species sets around the country ahead of the Sukkot holiday, and the organization stressed that the move is a test case for its new Kashrut certification. Tzohar plans to launch its own Kashrut service by exploiting a legal loophole allowing an establishment to tell customers that the food was prepared in a Kosher way despite not possessing Kashrut certification. The Rabbinate has been watching closely, and earlier threatened Tzohar head Rabbi David Stav that it would strip him of his title as Shoham Chief Rabbi should he advance his own private Kashrut label. In a letter fired off to Rabbi Stav in early September, Chief Rabbinate Director-General Rabbi Moshe Dagan wrote that "the media reported that the Tzohar organization under your leadership is considering establishing an independent Kashrut supervision system that will act as an alternative to the rabbinate." Dagan reminded Stav that "as can be seen from the ruling given last week by the Supreme Court, businesses will not be able to present themselves as kosher or supervised by a private kashrut body."